Broadcast date: Friday 20 June 2014, 4.30pm GMT (repeats at 7pm GMT Saturday, 21 June) on Resonance 104.4 FM (listen live online here). 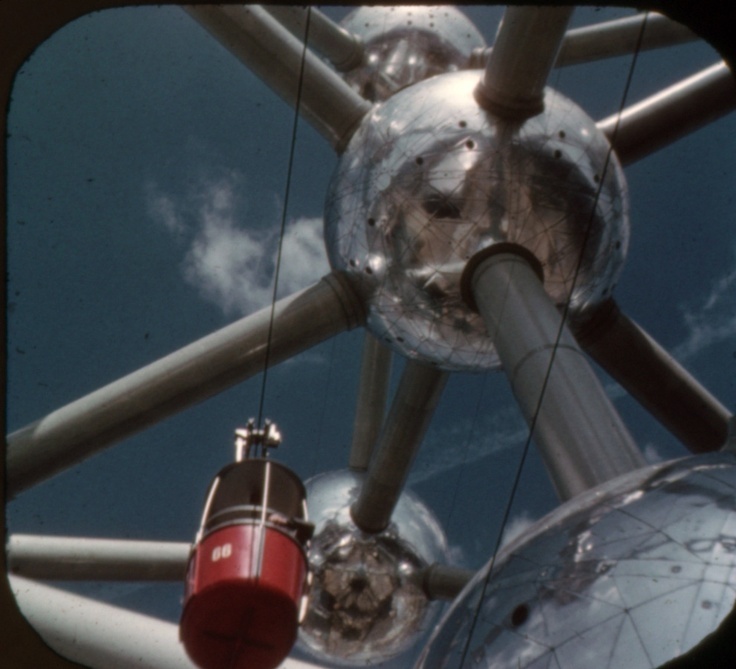 This episode is about dramatically magnified molecules – specifically, it’s about molecular forms that have been translated into architectures that dwarf the human body. 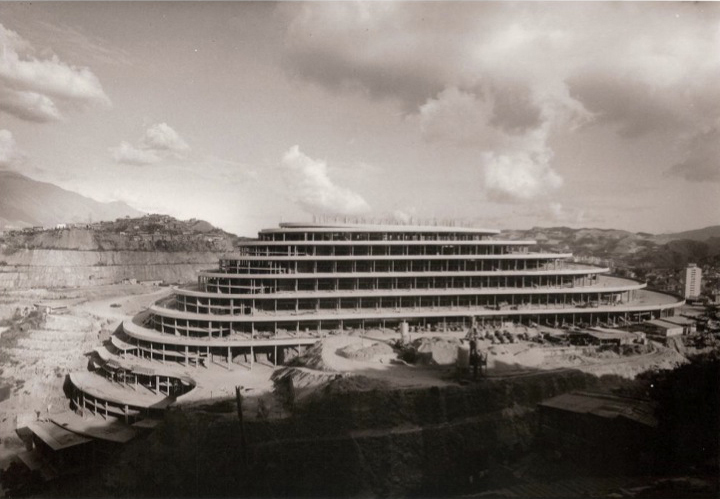 We’ll hear from cultural historian Celeste Olalquiaga on the ruin of a helical mall in Caracas, Venezuela, and the historian of science Soraya de Chadarevian, who will illuminate the fantastical molecular forms broadcast on television during the Cold War. For this week’s show we’ve also created our own molecular architecture – one perceivable only through sound. It’s a virtual reverb space build by ATOMIC radio sound designer Sam Conran, inspired by the model below of a molecule of a sperm whale’s myoglobin, a protein found in the whale’s muscle tissue. 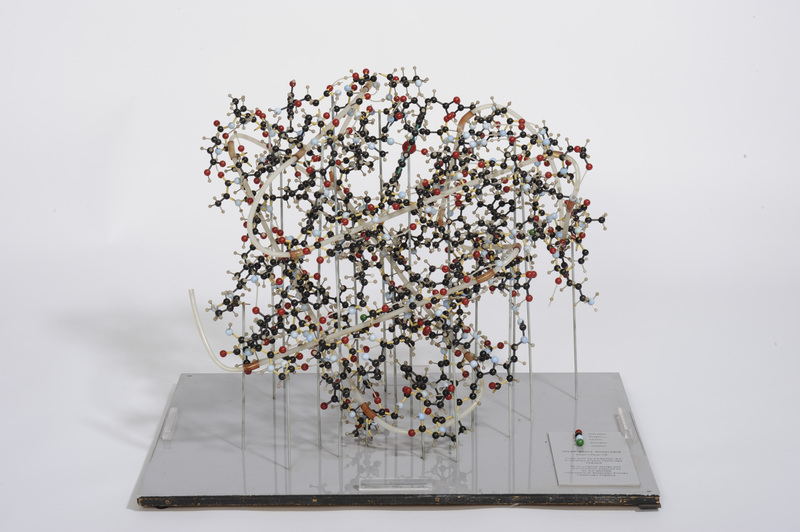 Sperm Whale Myoglobin, 1960s, built by A A Barker, related to research by the crystallographer John Kendrew. Laboratory of Molecular Biology, Cambridge, England. 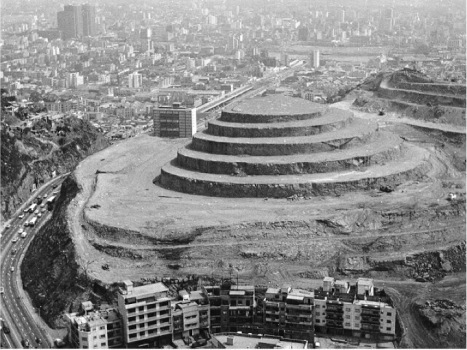 Celeste Olalquiaga is a cultural historian currently working on a project surrounding El Helicoide in Caracas, Venezuela, that will feature exhibitions, events and a book reflecting on the building’s complex history. Find out more about the project at proyectohelicoide.wordpress.com where you will find links to their crowdfunding campaign. Soraya de Chadarevian is a historian of science. She is a professor at the University of California Los Angeles in the Department of History and the Institute for Society and Genetics. Soraya is the author of many books, including Designs for Life: Molecular Biology after World War II. Daniel Marrone is a writer and cultural critic currently working on a book about memory and the texture of comic books.